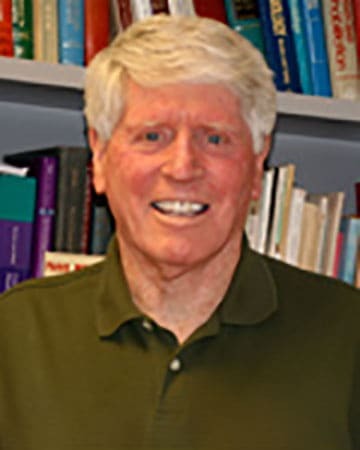 Dr. Haskell is Professor of Medicine (active emeritus) in the Stanford Prevention Research Center and the Division of Cardiovascular Medicine at Stanford University School of Medicine. His doctoral training was in exercise physiology with postdoctoral training in chronic disease epidemiology. He has been a member of the Stanford Medical School faculty for the past 40 years with primary interests in applied and clinical research in preventive cardiology, cardiac rehabilitation, the role physical activity in chronic disease prevention and successful aging. He has been a principal investigator on numerous single and multi-center clinical trials investigating chronic disease prevention or management. Of particular interest has been the role of habitual physical activity and related health behaviors in metabolic and hemodynamic factors contributing to the development of atherothrombotic vascular disease and diabetes mellitus. Current research involves collaborations with engineers at MIT and Northeastern University in the development of wireless sensors and common mobile phones for the continuous monitoring of health behaviors and environmental exposures in free-living populations. He has served on numerous national and international panels responsible for developing guidelines for physical activity and public health, preventive cardiology and cardiac rehabilitation. He was chair of the Physical Activity Guidelines Advisory Committee for the US Department of Health and Human Services. This Committee documented the scientific basis for the 2008 Physical Activity Guidelines for Americans. During 2008-2010 he was a scientific adviser to the World Health Organization for the development of WHO Global Recommendations on Physical Activity for Health (2010) and to the United Kingdom Health Ministries for the development of United Kingdom Physical Activity and Sedentary Behavior Guidelines (2011). Recently he was Chair of the International Review Panel for the Evaluation of Exercise and Sports Sciences in the Nordic Countries and co-chair of the expert panel on physical activity and physical fitness for development of the PhenX toolkit for the NIH sponsored Genes and Exposures Initiative (GEI).